Plain plastic mouth pieces bringing you down? Does your e cigarette not look like it’s all dressed and ready to impress? Well don’t lose your marbles!! Get a Wide Bore Marble Crackle Designer Drip Tip and bring some snap crackle pop into your vaping life! 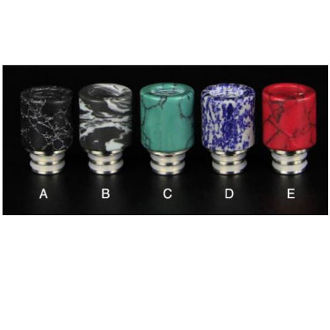 Our 510 Wide Bore Marble Designer Drip Tips were created with the Vaper in mind. They are crafted to allow maximum airflow which increases the vapor and flavor with each inhale. Their many designs and colors allow for your electronic cigarette creativity to be set free! !